Chuck and I go way back, meeting in 2007 for the first time during our study abroad semester in Rome and then living together for a few years in Manhattan and Brooklyn. I couldn’t have been more honored than when he asked me to capture his big day marrying the love of his life, Janne. 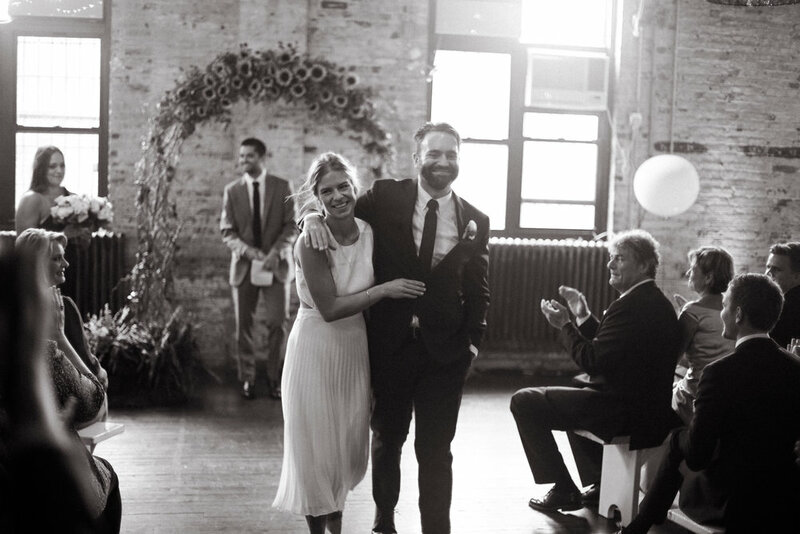 Janne and Chuck did it their way in a loft space in Clinton Hill Brooklyn. (Fun fact: Chuck and I used to live a few blocks aways in an apartment on Clinton Ave.) Surrounded by friends and family, some of which flew all the way from Norway (did I mention Janne is from Norway? ), they were married in an afternoon ceremony followed by an intimate four course dinner during which six speeches were read from each side of the family. There were laughs, tears, guitars, and lots of love in that room and I’m so glad I was there to capture it all.